DWI is driving a motor vehicle with a blood alcohol concentration (BAC) of at least .08% or losing normal use of faculties after using alcohol or drugs. Depending on BAC, first-time DWI can lead to a year in jail and a fine of $4,000. Someone convicted of DWI loses driving privileges for up to a year and must pay a driver's license surcharge of $1,000 to $2,000 a year for three years. Prior convictions lead to harsher sentences. Two DWIs, no matter how long ago, can lead to a felony charge, with serious penalties including prison time. DWI differs from Driving Under the Influence (DUI). DUI applies when someone below legal drinking age drives with any detectable amount of alcohol in their system. DUI is a fine-only offense. However, if the BAC is over .08%, the same driver can be charged with DWI. Intoxication manslaughter is when one person kills another as a result of being intoxicated. This is commonly charged when someone driving while intoxicated causes a fatal accident. Intoxication manslaughter is a felony, punishable by 2 to 20 years in prison and a fine up to $10,000. Facing intoxication charges is distressing, and a conviction can have a lasting impact on your ability to drive, work, and hold professional licenses. Powerful lobby groups such as Mothers Against Drunk Driving encourage a zero-tolerance attitude toward all intoxication offenses. As a result, consequences for these types of charges can be severe, including strict probation, prison time, and major fines. If a person was injured or killed as a result of an accident, punishments are even harsher. Because of the influence of powerful interest groups, prosecutors avoid dismissing intoxication cases unless a skilled defense attorney leaves them no other choice. Judges fear being portrayed as “soft on crime,” and are strict when it comes to intoxication offenses. Being charged with an intoxication offense does not mean you are guilty, or that a jury will convict you. An expert defense lawyer can bring knowledge and expertise to vet law enforcement's claims and counter the prosecution's arguments. At the Neal Davis Law Firm, we are certified experts in administering and evaluating the roadside sobriety tests that officers perform on those suspected of intoxication, and we know that the machines and tests used to determine blood-alcohol content can be faulty or produce unreliable readings that are inadmissible in court. "This Montgomery Courtroom had not seen a Not Guilty verdict in 2 years. My verdict on 8/22/2016 was Not Guilty after a tough trial. 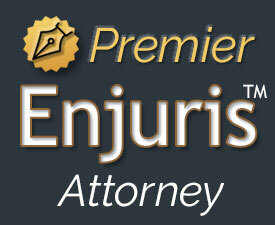 My best advice is on legal matters look for excellence. From the very beginning my wife and I noticed the difference with Neal service, experience showing to us the plan forward. Neal selected honest, impartial jurors. He demolished every witness and argument the prosecution presented with a deep understanding of the law, an impeccable logic and revealing the incongruity of the prosecution statements and the evidence. Trial was my only option. The closing speech gave the jurors the right guideline on how to do their job correctly and sentence accordingly. My wife and I are so grateful to Neal Davis. Today, I write this review while I enjoy my freedom thanks to this man." WARNING: IF YOU HAVE BEEN CHARGED WITH DWI, YOU ONLY HAVE 15 DAYS AFTER NOTIFICATION OF A DRIVER'S LICENSE SUSPENSION TO REQUEST A HEARING AND CHALLENGE THE SUSPENSION. Want to know more? See our E-book on intoxication offenses, or contact us to discuss your case.